When will be Double Trouble (US) next episode air date? Is Double Trouble (US) renewed or cancelled? Where to countdown Double Trouble (US) air dates? Is Double Trouble (US) worth watching? ”Double Trouble” premiered on 4 April 1984 on NBC airing at 9:30 to 10 PM on Wednesday nights. This Sit-Com (situation comedy) revolved around twin 16 year-old sisters “Kate Foster” played by Jean Sagal and “Allison Foster” played by Liz Sagal. Even though they were identical twins they had totally different personalities from each other. Allison was the one who harbored all the responsibilities and Kate was always getting them in some sort of trouble. Kate would sometimes pretend to be her sister Allison so she would not be blamed for whatever she had done wrong. 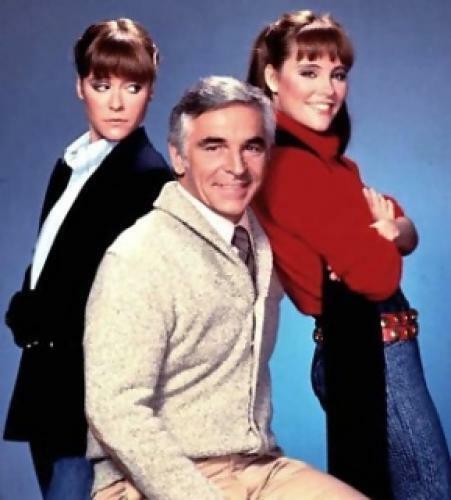 In the very first season they lived with their widowed Father “Art Foster” played by Donnelly Rhodes. He owned and ran a Gym and a Dance Studio in their hometown of Des Moines, Iowa. In the 2nd season that began in December 1984 the girl’s Father and a few other characters had disappeared from the show as the girls moved to New York City. Kate began to pursue a new career in Acting and Allison had enrolled into the “Fashion Institute of Technology” where she was majoring in fashion designing. This season they lived in a very large luxurious town house with their “Aunt Margo” played by Barbara Barrie. Margo was a very successful author of Children’s books but she also was a very strange but funny person. They also had 2 young men staying in the town house with them by the name of “Billy Batalato” played by Jonathan Schmock and “Charles Kincaid” played by James Vallely. Billy and Jonathan were both enrolled in Acting school as they wanted to have a career in the Entertainment industry. The show moved around and in July 1984 it aired at 8 PM, in December 1984 for its’ 2nd season it moved to Saturday night at 8:30 PM. From June 1985 until the final showed aired on 21 August 1985 the show aired at 9:30 PM on Wednesday night. EpisoDate.com is your TV show guide to Countdown Double Trouble (US) Episode Air Dates and to stay in touch with Double Trouble (US) next episode Air Date and your others favorite TV Shows. Add the shows you like to a "Watchlist" and let the site take it from there.